This season the team started a new tradition with the warm-ups of doing this warm-up hype chant of “Eagle Jacks are you ready! ?” with the response “Ready!” and the team does jumping jacks while spelling out Eagles. That is the inspiration for the title of this weekly insider’s view of the football team. 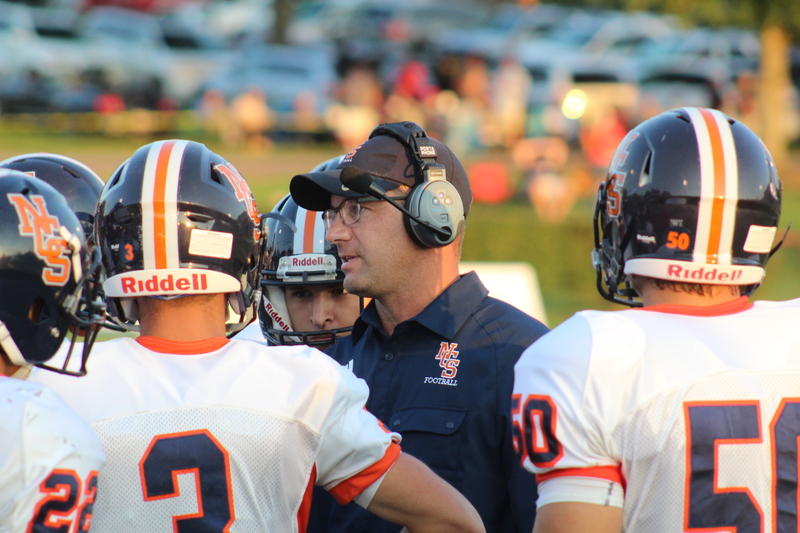 Last Friday, August 18 the NCS varsity football team traveled about an hour south to Columbia, Tennessee to face the Columbia Academy bulldogs to open the regular season. Before the game head coach Jeff Brothers told the team a quote from the 16th President of the United States of America Abraham Lincoln: “If you give me 6 hours to cut down a tree I will spend the first 4 hours sharpening the axe.” He chose this quote because he wanted us to do the right things mentally ahead of time and get the job done on the field early to set the tone. It was a tough start for the Eagles as the team gave up a touchdown the first play of the game. They also gave up a couple of penalty’s and turnovers and ended up trailing 21-0 in the 2nd quarter. The Eagles ended up scoring before halftime which made the score 21-7 heading into halftime. After opening the 2nd half with another score, the Eagles ended up losing by the final score 28-14. After the game Coach Brothers said, “It was my fault we lost, but it won’t be my fault anymore.” He also said “I am going to push you in the hallway,” as a way to indicate that he is going to push us even harder to make us better students in school and better players on the football field—so if we ever lose like that again he won’t be the person to blame. So we will see the team’s response to that tough loss last Friday. This Friday, August 25, the Eagles will travel to Battle Ground Academy—a team who won their opening game.